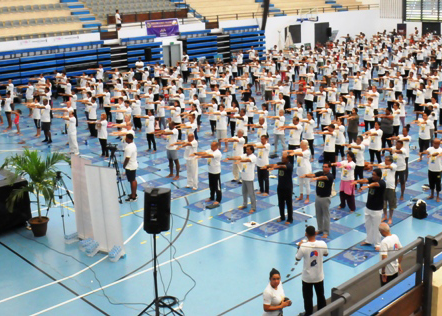 Hundreds of yoga enthusiasts gathered at the Palais des Sports on Saturday to take part in the fourth International Day of Yoga. The International Yoga Day has been recognised by the United Nations (UN) since 2014 and is observed each June 21. 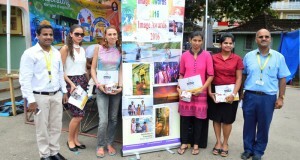 The activity was organised by the High Commission of India in Seychelles in collaboration with the department of youth and sports, and the Ministry of Health among others. The half-day event began with a guided session based on Common Yoga Protocol in which guests joined the roomful of people to flex their muscles and practice peaceful meditation. Guests included Vice-President Vincent Meriton, Minister for Health Jean-Paul Adam, Minister for Family Affairs Mitcy Larue, Minister for Tourism, Civil Aviation, Ports and Marine Didier Dogley, Russian Ambassador Vladimir Belous as well as other high dignitaries. The yoga sessions started with the lighting of lamps by the High Commissioner of India to Seychelles, Dr Ausaf Sayeed, his wife and guests. Addressing the gathering, Dr Sayeed, said yoga is an ancient mental, physical and spiritual discipline which originated in India but which now enjoys universal appeal. He further highlighted yoga’s important role in cutting down barriers such as language, cultures and religion. “Yoga enthusiasts in Seychelles have been participating in the Yoga International Day wholeheartedly for over three years, and last year we recorded a participation of around 1,200 people,” Dr Sayeed added. Practicing yoga is known to reduce stress and fatigue as well as improving physical fitness, and it was on those aspects on which Minister Adam focused his address. 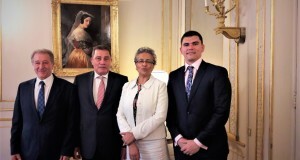 “It is a great pleasure for me as minister for health to join in this activity, which is a landmark activity as part of my ministry’s campaign to increase the amount of physical activity Seychellois engage in,” Minister Adam said. The ‘Bouze’ health campaign which has been going strong for more than two years – was kick-started by the Ministry for Health to curb the rise of non-communicable diseases and an increasingly sedentary lifestyle. “This campaign is aimed at urging every Seychellois to incorporate regular exercise and physical activities in their daily routine. We see yoga as a key part in engaging Seychellois in regular physical activities. “Yoga is accessible to everyone as it is adapted to all ages as well as to the abilities and needs of an individual,” he concluded. 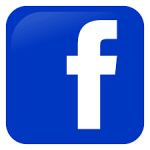 This was followed by special video messages from Indian Prime Minister Narendra Modi, who was first to propose an International Yoga Day to the United Nations’ General Assembly, and another from President Danny Faure. Also included in the opening ceremony was the launch of a yoga magazine conceived by the high commission of which a copy was presented to the guests present. 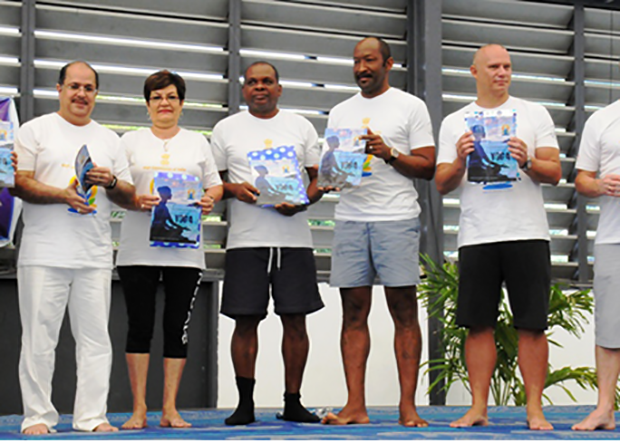 The yoga sessions were conducted by various local instructors Auguste Ethel, Steve Thelermont, Ingrid Saurer, Charles Fontaine, Dr Lalita Sandeti and internationally renowned yoga instructor Orchid Chen. Aside from the common yoga protocol session, there were also special yoga sessions for children, a session for those suffering from lower back pain, a meditation session, a prenatal session and a session accommodated specifically to the senior citizens.